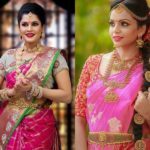 Often, it is not even the shopping your dream saree that matters, however, wearing them with utmost grace is where the real challenge is. 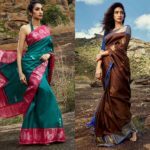 You can shop the best of design, pattern, and color in your dream saree. You can even go on to shop the matching accessories and have a fair knowledge on how to style your hair and do the apt makeup. However, putting them all together is quite a feat. That’s when ideas are shaken and unexpected mishap would surface. 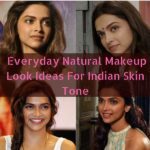 To avoid that, always have plenty of dressing inspirations at your hands reach, so when the opportunity rocks, refer your bookmarks to find what colors go well with what kind of accessories, makeup, hairdo and literally for all your styling ideas. 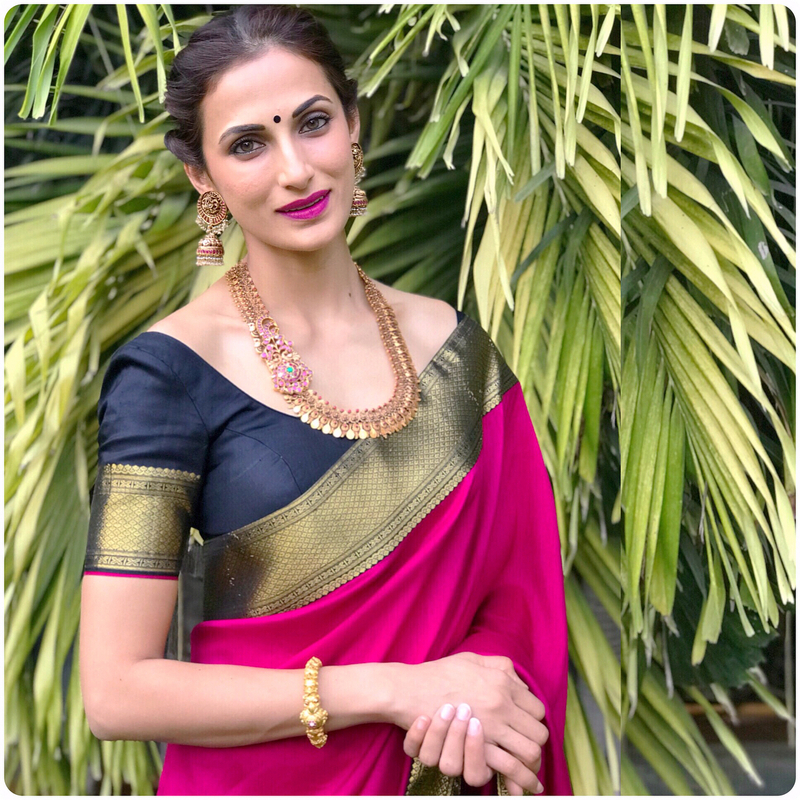 For instance, we spotted a spectacular makeup idea on the recent saree style sported by Shilpa Reddy and we know for sure this would go into our inspirations bookmark straight. 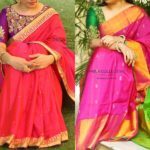 Pulling off a fuchsia pink silk saree is by no mean a easy task. However, the designer made everything work on her dressing. 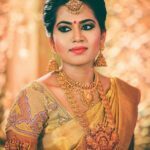 From the vivid, yet subtle makeup to on-point accessories, and right color choice of blouse, this saree look of Shilpa will be a major inspiration for those who love to dress up in bright colors yet like to look dressed down. Now scroll down to see how Shilpa Reddy worn this saree style with elegance redefined. What do you think of this saree style? Drop and let us know your comments on the box below.